Our mission at the College of Education is to be a leader in Alabama and across the nation in teaching, scholarship, advocacy, and service by developing professionals with pedagogic and disciplinary expertise who advance the intellectual and social conditions of all learners in a globalized society. 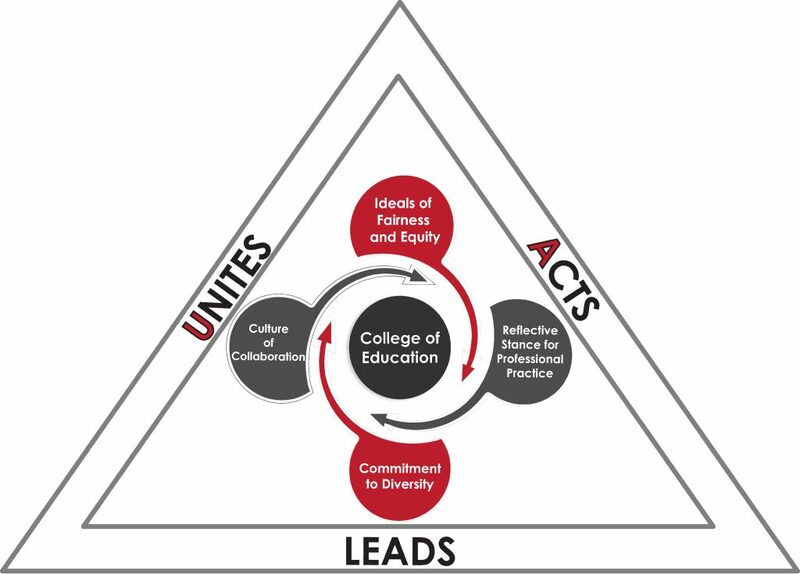 The vision of the College of Education (COE) at The University of Alabama is to develop effective, ethical, and reflective professionals who advance the theme of the COE: Unite, Act, and Lead (UA Leads). This theme undergirds the four overarching ideals of the COE: Ideals of Fairness and Equity, Reflective Stance for Professional Practice, a Commitment to Diversity, and a Culture of Collaboration. The fulfillment of these ideals calls for a commitment to academic excellence and advocacy through active engagement with shifting social and cultural contexts and advanced technological developments that shape the construction, interpretation, and dissemination of knowledge. LEAD through continuous research-based critical inquiry of policy and reflective practice to enable transformative change in our diverse local and global communities. Through excellence in teaching, scholarship, advocacy, and service the COE will facilitate visibility and voice of education leaders beyond the classroom in support of democracy and social justice for all learners in our global society.